Montegrappa’s popular Icons Collection of writing instruments pays tribute to global personalities who have achieved greatness in a variety of fields, including music, cinema and sport. 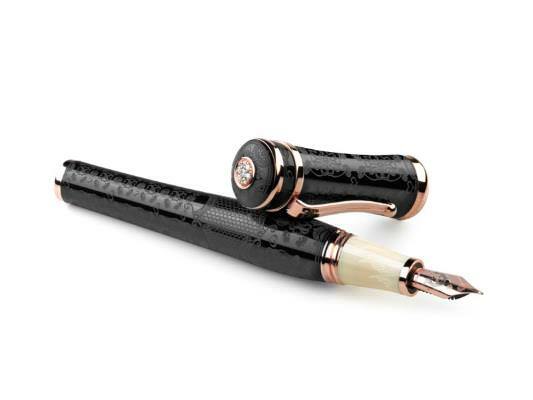 Montegrappa introduces its newest Icon, Sophia Loren. Ms. Loren is more than a screen legend: she is an Italian screen goddess. Her presence in front of the cameras, in more than 90 films, has charmed and entertained audiences for over 60 years. She is one of a disappearing breed of actors: a true star of inimitable talent and presence. Thanks to her role as Cesira in Vittorio De Sica’s Two Women, Loren’s talents as an actress of great depth were recognised. The performance earned her the Academy Award for Best Actress in 1962 and made her the first artist to win an Oscar for a foreign-language performance. The film was also responsible for her winning the 1961 Cannes Film Festival Best Actress Award and 22 international awards. The awards have continued in a steady procession. To represent her elegance and womanliness, Montegrappa evokes a scene from the famous movie of 1963, Ieri, Oggi e Domani (Yesterday, Today and Tomorrow), where Sophia is wearing black lace lingerie, teasing her co-star Marcello Mastroianni. 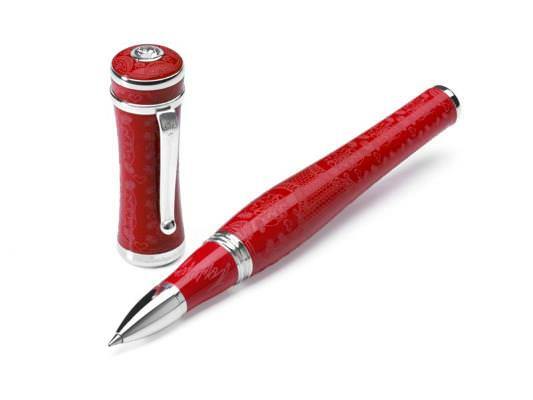 Details that underline this include the elegant flower motif engraved on the pen. It is reminiscent of “lace,” a material loved by the actress, and which has become with the passage of time a symbolic part of her image. A semi-precious gem on the cap top for the silver model, and a pavé of diamonds for the exclusive gold editions add a touch of glamour, while the voluptuous signature pocket clip makes reference to those famous curves. Its resin cap and body presented in three colour combinations: all-Red or Black & Red for the Sterling Silver model, Black & Ivory White for the 18k Rose Gold model. The actress’ signature graces the tip of each pen. 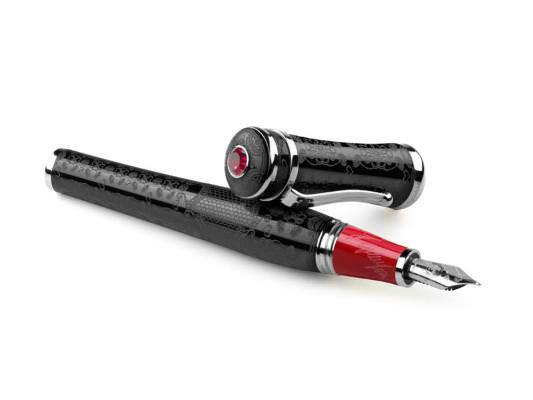 The silver version is offered as Fountain, Rollerball and Ballpoint pens. The solid 18k gold pen edition comprises Fountain and Rollerball. For the fountain pens, the 18K gold nibs are enriched with an artist’s rendering of Sophia’s face. The limited edition Sophia Loren collection will consist of 209 all-Red resin with Sterling Silver trim pens to symbolize the actress date of birth – September 20th, 1934 Black & Red Sterling Silver pens denoting the year of her birth, and exceptionally, 29 18K Rose Gold pens comprising 20 fountain pens and 9 rollerballs, representing again her birth day and month. The Sophia Loren pens are packaged in an elegant black box, embellished with a lace design and Sophia’s image imprinted on top.